DOL Offers “Fair Pay” Preassessment–But Will Contractors Use It Willingly? The Department of Labor has announced a new “preassessment” initiative, under which a government contract can voluntarily ask the DOL for an assessment of the contractor’s record of labor law compliance. The preassessment program is designed to help contractors discover if they may have any trouble with their mandatory disclosures under the new Fair Pay and Safe Workplaces Executive Order, which will take effect beginning on October 25. Voluntary use of the preassessment program may be a good idea for any contractor with a history of labor issues, but I wonder what will be more likely–contractors choosing to use it on their own, or being pushed to use it by prospective teammates? The SBA has issued a final rule implementing the changes to the limitations on subcontracting enacted by Congress in the 2013 National Defense Authorization Act. The SBA’s final rule takes effect June 30, 2016–and will significantly change the way the limitations on subcontracting are calculated and enforced moving forward. I am pleased to announce that I will be presenting three Learning Sessions at the 2015 National Veterans Small Business Engagement in Pittsburgh. My first session, Joint Venturing and Teaming on SDVOSB Set-Aside Contracts, will take place on November 17 at 11:10 a.m. in Room 333. The second session, The SBA’s Proposed New “Universal” Mentor-Protege Program, will be that same day at 3:10 p.m. in Room 413. The third session, Is My Company a “Non-Manufacturer”–The Ins and Outs of the Non-Manufacturer Rule will be held on November 18 at 11:10 a.m. in Room 413. If you will be attending NVSBE 2015, I hope you’ll make it to my Learning Sessions. See you at the conference! 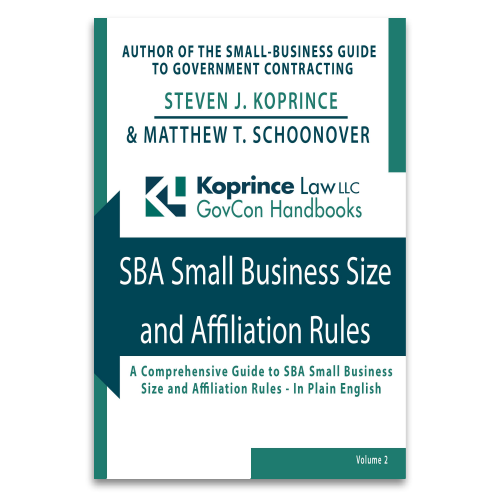 Teaming and joint venturing are essential components of success for many small government contractors, and the emphasis on teaming is increasing in light of the SBA’s proposed rule allowing “similarly situated entities” to join together to pursue prime contracts. But teaming and joint venturing are not without risks–there are many unique rules that must be followed, and many pitfalls for the unwary. That is why I am very pleased to announced that I am joining with the Government Contractors Resource Network to present a three-part webinar series on compliant and effective teaming. Directed at small contractors, this series will begin with an overview of the rules and regulations governing teaming. 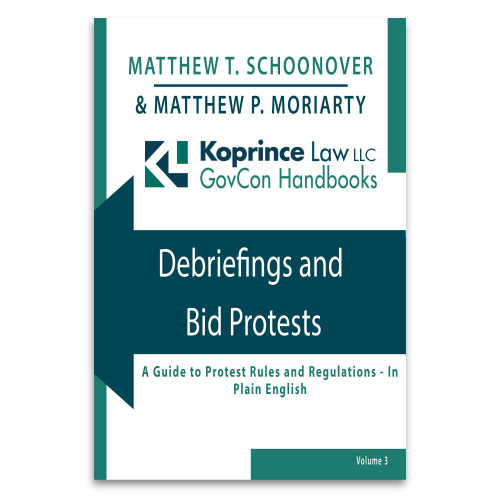 The series will continue with a discussion of how to prepare effective and compliant teaming agreements, subcontracts, and joint venture agreements. The series will wrap up with an in-depth discussion of federal mentor-protege programs, including the SBA’s new proposed “universal” mentor-protege program. The first webinar will broadcast on June 19, and the others will follow on June 23 and 25. To register, or for more information, visit the GCRN website. I hope to see you (virtually, anyway) this summer.